Is automation or, conceivably artificial intelligence, gradually taking manual flight control away from airline pilots? This is a tough question few aviation experts are willing to face head-on. Yet, given the spate of mishaps involving highly automated airliners and resulting in in-flight incidents and, much less frequently, in aviation accidents with significant loss of life, hardly anyone involved with designing the hardware and software behind the automation of modern airliners can escape the question. At present, there are no clear-cut answers. Some aviation safety investigation experts are still suggesting that on-board fly-by-wire hardware and software be improved in order for airline pilots to actually remain in charge of the airplane at any flight stage and be able to respond to unexpected in-flight challenges as they would with a conventional aircraft. Yet, nobody is tackling the basic underlying question: Why are competent airline pilots sometimes unable to deal, in tight circumstances, with both the benefits and limitations of highly automated fly-by-wire controlled airliners? Why, for instance, should high-tech airliner operating manuals state that pilots are not to interfere with the auto-land mode (q.v. by flying the aircraft manually) once auto-land is selected? Is the underlying message that, once committed to auto-land, pilots must stick with it no matter what – for instance, during a Category III landing – except for a pilot ordered go-around? This leads to another question: could it be that the more technologically advanced airliners are, the more pilots are inclined to remain hands-off during cruise-climb, cruise, descent, approach or landing stages of flight, despite pilot statements to the contrary? Well, there is the crux of the case. At present, airlines and public air transport authorities need to make a clear distinction between electronically assisted flight control and full flight management and control automation. 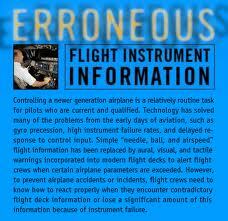 Moreover, the initial and proficiency training of airline pilots needs further fine tuning in either case. The tragic but sadly avoidable crash of AF447 on June 1, 2009, is but one major and recent accident involving advanced aircraft automation, awaiting technical recommendations from civil aviation authorities, that may provide some reassurance and solace to relatives and friends of victims of the crash that the industry can learn from its mistakes. Modern airline flight operations appear to industry observers, including this humble blogger, who are unfamiliar with the latest on-board automation features, as a radical change in flying philosophy. Pilots of technologically advanced airliners no longer have direct three-axis and engine power inputs on such aircraft. Instead, they have to deal with a third party in the cockpit: the on-board flight management and control system run by one or more computers. This is a major mind-shift that pilots of so-called conventional aircraft and the airline industry at large have to contend with and catch up to, by relying more than ever on continuing and close support from aircraft manufacturers. And so do civil aviation regulatory authorities. There isn’t much room at all for aviation safety stakeholders to play any sort of cat and mouse game with each other, while air transport flight automation is making quantum leaps. The investigation into Air France flight AF447 disaster that occurred on June 1, 2009, is a case in point.